Just a Fraction of Coconut Oil, Please! If you haven't noticed our Just Added section of our site yet, you're definitely missing out! We are constantly adding new products each day, and I love seeing the latest offerings we have. My new favorite that we just got in is our Fractionated Coconut Oil by Soothing Touch. I know that coconut oil is definitely a craze that's gained quite the popularity over the past years in the beauty industry, but did you know that there are two different types? I'm sure you're used to using products that contain virgin coconut oil. Have you heard of fractionated coconut oil? It's exactly how it sounds, but with even more beautifying benefits! I'll explain why below!.. Fractionated coconut oil is processed differently than regular coconut oil. The reason being is that the oil has been through hydrolysis then steam distilled to remove the long chain triglycerides. As a result, only the medium chain triglycerides are left which makes for a highly saturated oil. This means the oil is even more abundant in antioxidants and its natural disinfecting effects! Unlike virgin coconut oil, which solidifies in colder temperatures, fractionated coconut oil remains in liquid form. 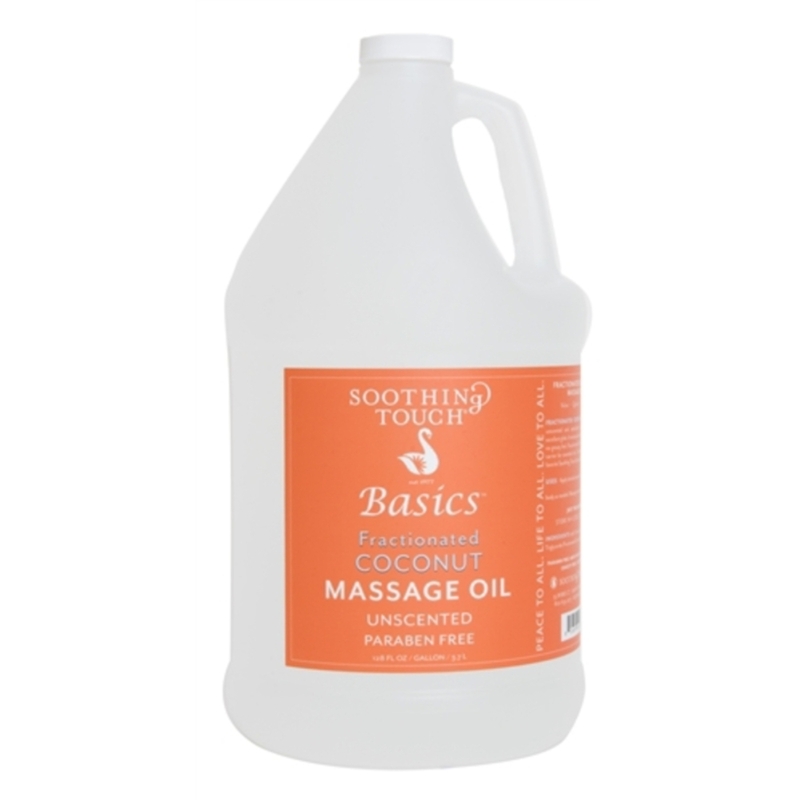 This is great for use as a massage oil, and to blend with essentials oils or even for use in handmade lotions and soaps. Another plus is that this type of oil has a longer shelf life and stability which makes it cost effective for your business. If you're in need of a new oil for your spa, I highly recommend trying out our Soothing Touch Fractionated Massage Coconut Oil on your clients! It is paraben free and unscented so you can customized the oil to whichever scent your client prefers. Unlike virigin coconut oil, this oil does not leave a greasy feel either. I promise your clients will love it!